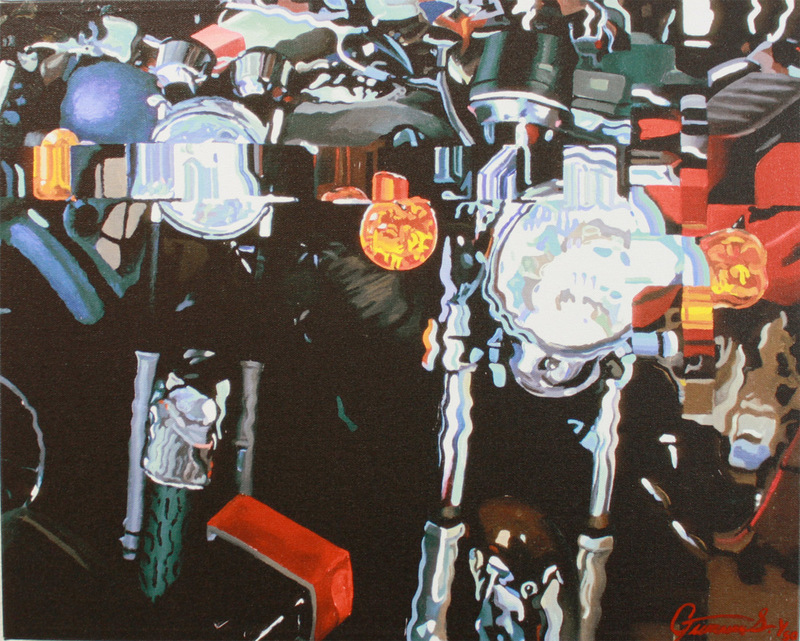 Can’t help but be awed by Guenevere Schwien’s motorcycles. Guenevere Schwien is an award winning artist whose paintings are a unique blend of realism and abstraction. 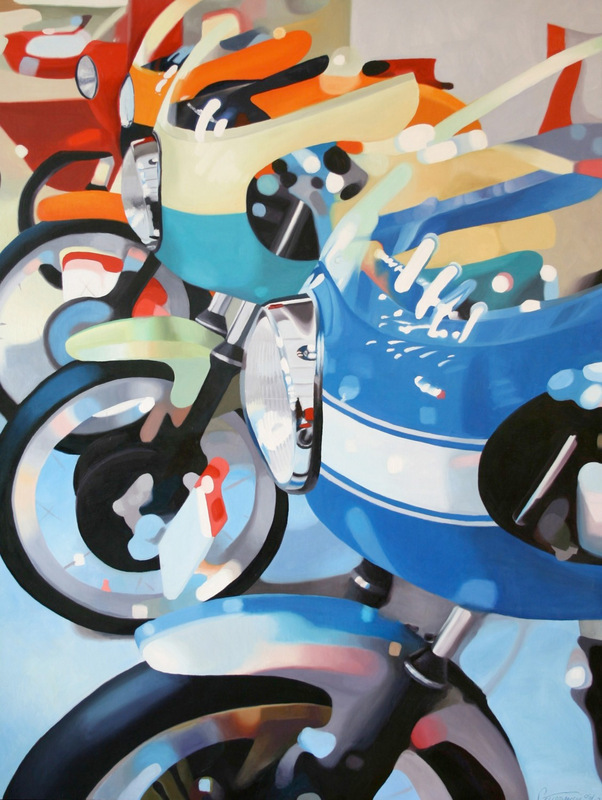 Her use of bold color, selected details, and large scale make her paintings grab your attention. Guenevere is a classically trained painter who graduated from the Academy of Art University in San Francisco. Guenevere also uses her knowledge of carpentry to build each canvas out of wood to the specific size the composition requires. 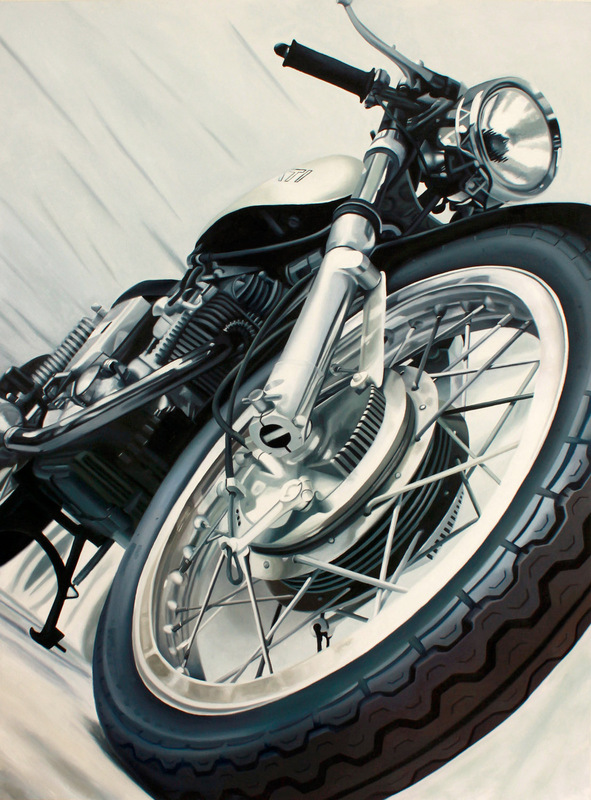 Her craftsmanship and attention to detail present the paintings with seamless quality and flawless execution. 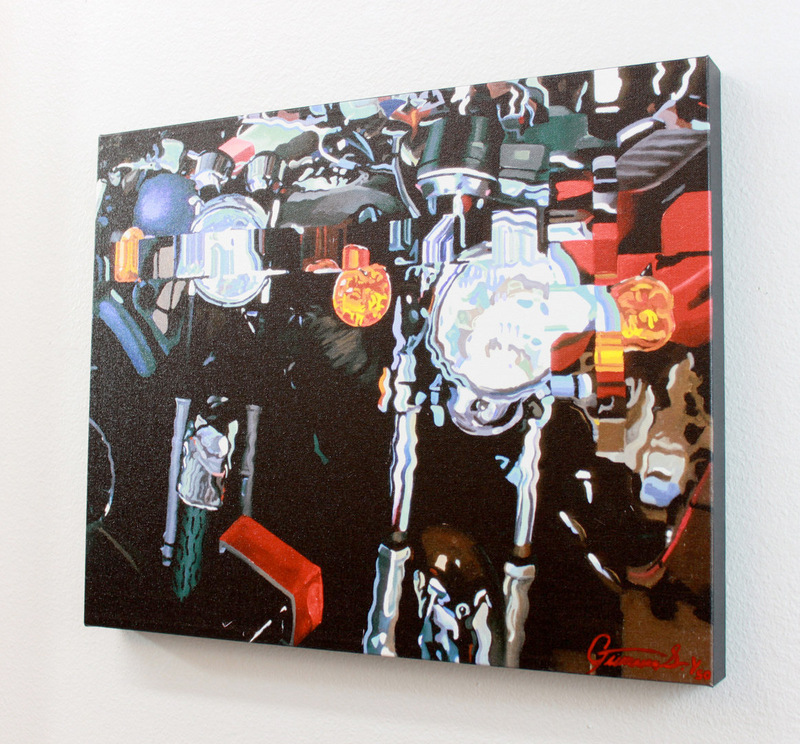 She has combined her passion for motorcycles and painting to create one of a kind high quality works that glorify the sport of motorcycling.